Ride and Roll all the way there with the Fascol ride on case! This is Izebellas new travel case. 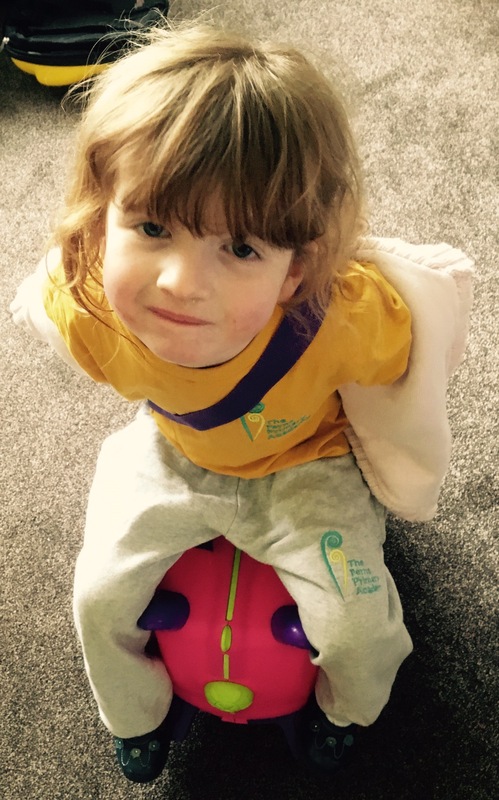 Not only can she put her clothes and bits inside but can also pull and ride on it just like a toy. 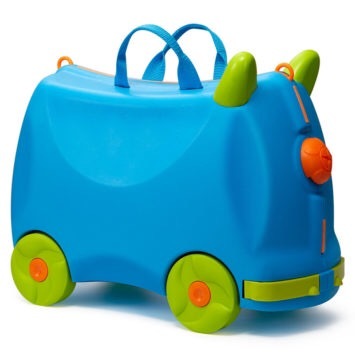 The case comes from Fascol who also sell toddler scooters amongst other items for the little ones. Izebellas case of course comes in her favourite colour of a bright deep pink (rose) but it also comes in blue too. It’s size is 48x36x22 cms yet it’s small measurements can be deceiving. 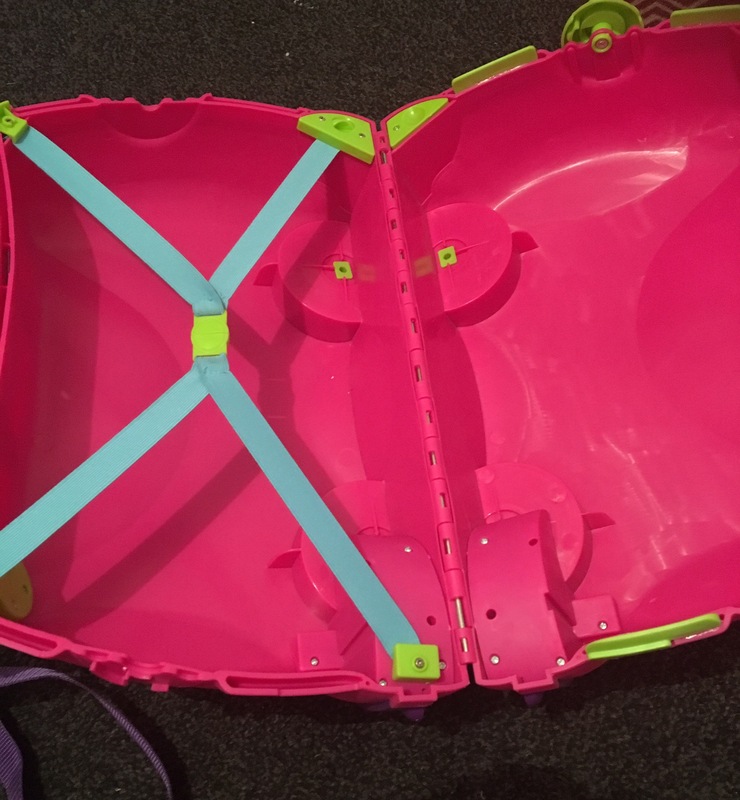 The case fully opens up to reveal plenty of space for a small child’s clothes and belongings. 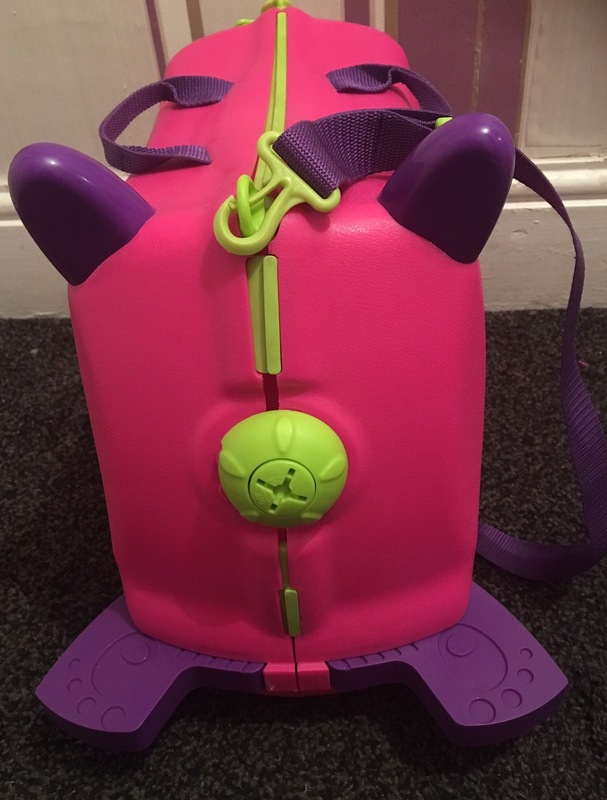 It is designed more as a weekend trip type piece of luggage or even carry on luggage on a plane and therefore meant for short trips but I did find I could get more than a weekends worth of a 4 years clothes inside easily. The material used to make the case is polypropylene which is something I have never heard of but it seems to be a very tough and robust product. Izebella has not stopped sitting on it and riding along on it since it arrived about 2/3 weeks ago. 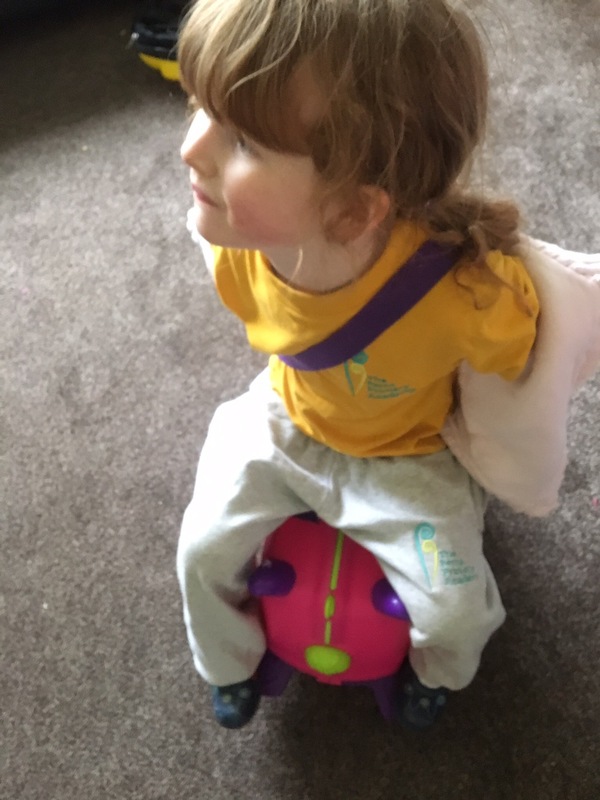 She tells me the seat is comfy enough for her little bum and that she cannot wait to use it when we go away. It opens up a little differently to regular cases and bags. The yellow nose type parts on the front and back twist to open the case up and then twist the other way to lock. I think this is a good idea and saves the panic of zips being pulled off or trapped halfway and although Izebella sort of knows how it opens, a much younger child probably would not beable to do it. Being in the design of an animal it even has pull out feet too. And a large carry/pull strap plus two handles. The large strap can even double up as a seatbelt to go over the child when they are riding on it. I think it’s fair to say that we are certainly going to have lots of fun with this case and Izebella when we go on our weekend get aways. As Fascol is a European company, the prices are in Euros. The price of this case is currently on a great offer with the price dropping to €29.98 from the previous price of €72.00. 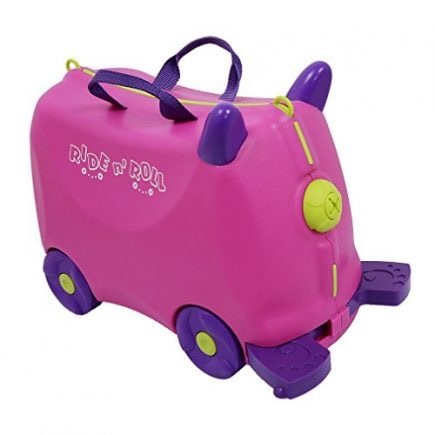 The cases are suitable for small riders ages 3 and above.